You must make reservations at least 5 minutes in advance of the time at J. Alexander's - Plantation. 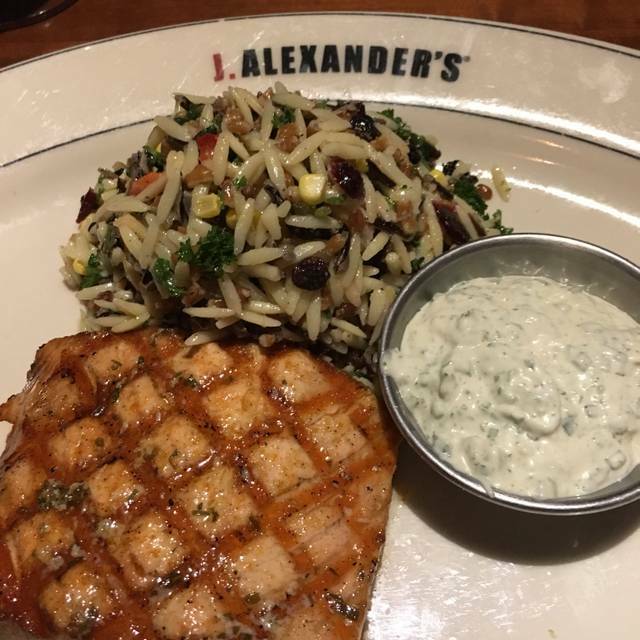 J. Alexanders is known for its wood-fired cuisine. Our core philosophy is to provide you with the highest possible quality dining experience. The menu features a wide selection of American classics including prime rib of beef, steaks, fresh seafood, sandwiches and entrée salads. The menu in each restaurant includes a varied and rotating selection of features like Seafood Czarina, Tuscan Steak, Grilled Fish with Mango Papaya Salsa and Chicken Milanese. The restaurant has a full-service bar that includes an outstanding selection of wines both by the glass and bottle. The restaurant will close early on Wednesday 7/11 at 7 PM, for building maintenance. We will re open for regular service at 11:30 AM on Friday 7/13. Please fee to visit us in Boca Raton or Redland's Fort Lauderdale. Great food, chicken breasts were smallest ever but still tasty. Noise levels vary depending on time you dine. 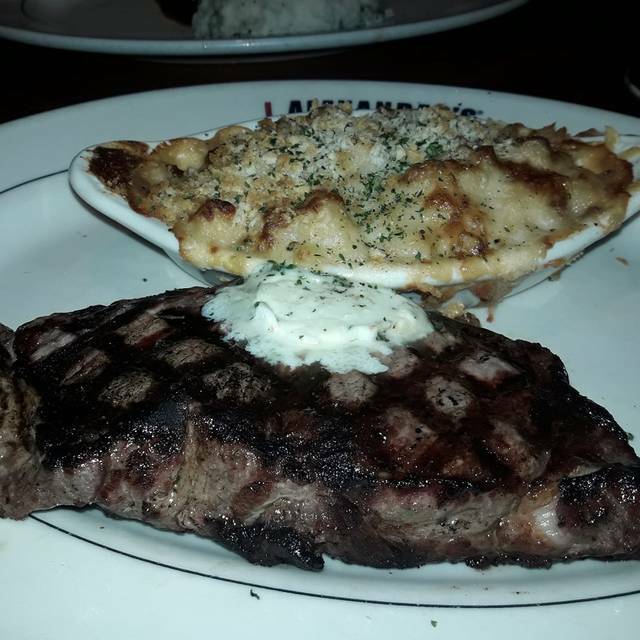 The steaks were delicious and the macaroni and cheese was amazing. The server was attentive. The candles for the cake (Birthday celebrations) arrived after the dessert. Not sure why? 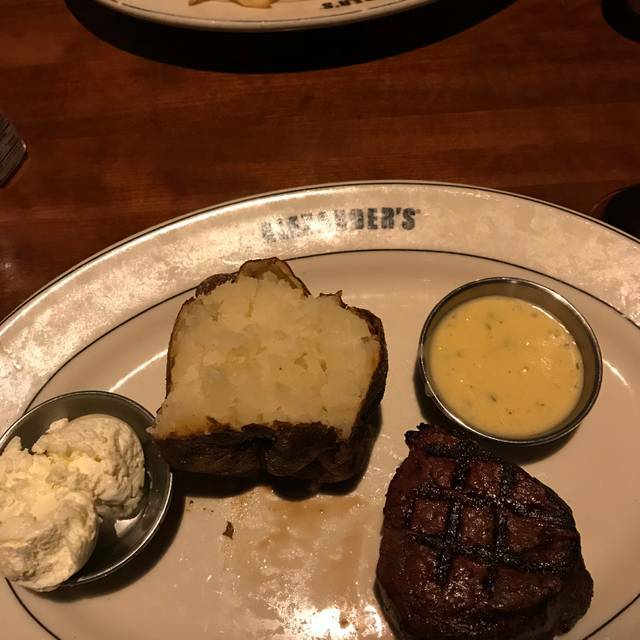 The steak was perfect but the potato was cold. Our server asked for the cold one back, which was strange. A hot one was delivered within one minute. Excellent service, we were not disappointed with anything. Food arrived in timely manner, staff very attentive and friendly. Overall taste of our meals were delicious; we will be returning. Food and service is outstanding. I went with my wife for our anniversary and we had a very nice evening. Unfortunately they overcooked both steaks ordered at our table (we ordered Medium and they came out well done). On their 2nd try they were still overcooked... we normally eat at the Palm Beach Gardens location which is great... but this was just ridiculous. Our server was so gracious and polite about trying to make sure we were taken care of. We will likely not be back to this location but will still eat at our usual PBG location! Very elegant classy place for a romantic date, business meeting or family or friends or acquaintance get together. The food sets the tone very delicious as presentation is always on point. As long as the service has a good steady flow, it will compliment an outstanding dining experience overall. Yes, we keep coming back. This is my go to place for steak. 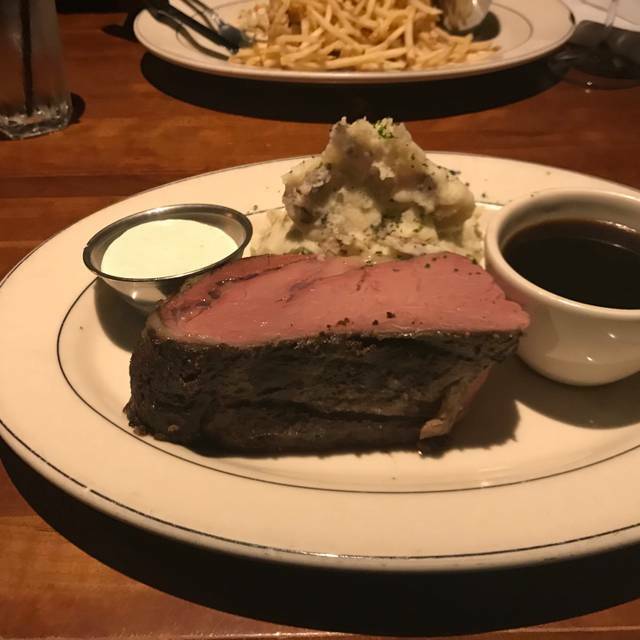 You can not beat the slow roasted prime rib. Pros: Always good food, great service, good value, very customer oriented. Cons: The downside is the noise level is awful, can't wait to get my food and get the hell out of there. I made a reservation to secure a booth in the bar area . I arrived to be told we have to seat first come first serve if someone wanted those tables . So why ask occasion or take my reservation . Been dining for here for years . My friend and I came from the west coast to meet up with two friends from our home town up north. 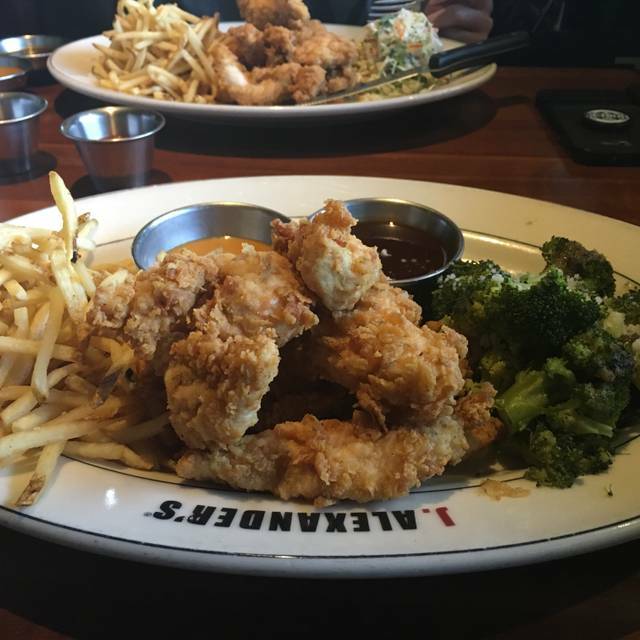 J.Alexander’s was recommended by a Ft. Lauderdale Resident. The four of us had not been together in years. Once our waitress, Erica, found out we were going to need a lot of time to catch up she was exceptionally patient. I would recommend J. A. to anyone who enjoys good food and fabulous desserts. Sammy is the best. She always makes us feel welcome. The food is always good and consistent but as I always say it would be so much better if they had some surprise specials. The if it ain’t broke don’t fix it mentality I get but sometimes we will go somewhere else just for a little change. We had a wonderful dinner. The food was amazing and the service was exceptional!! We’ll be back for sure! The smoked salmon dip appetizer is a must try! 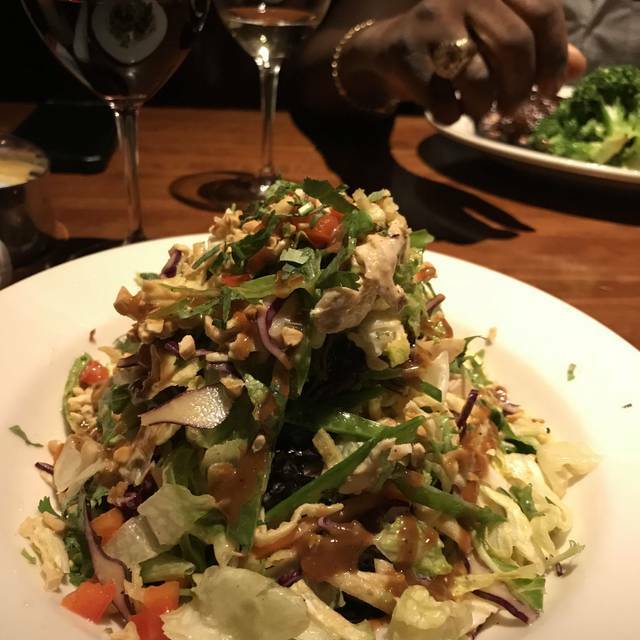 J. Alexander's is a wonderful choice when it comes to dining out, whether it be for a special occasion or an evening dinner out with my husband for no reason. Your food is delectable. Your roasted artichoke and NY Strip is amazing. Your salad was crisp and fresh. Your wine was just the perfect pairing. We will certainly by back again and again. I would usually provide a rating of 5 STARS. Last Friday my partners' steak was ordered medium rare and was cooked to a medium degree. We kept the steak because of time sensitive plans after dinner. Excellent food and service...definitely will return. Always a great experience. My husband and I love this place! I love J Alexanders and my favorite is the french dip. I have introduced it to many friends and family and we all agree that it is the BEST french dip. I also like other items on your menu. My only complaint is that there is not one in or near Naples, FL, where I live so I can only go when I travel to the Plantation side. I have another home in Illinois and, although it isn't quite as far, I still have to travel 45 minutes to get to that one. I would love to have one here in Naples, Florida (there are many high end restaurants here and a lot of people eat out every night). I would also love to see one in the Tinley Park, Orland Park area of Illinois. I know that both locations would be appreciated. Fabulous dinner with fabulous friends! Service and dinner was spectacular! Definitely will be back again soon! 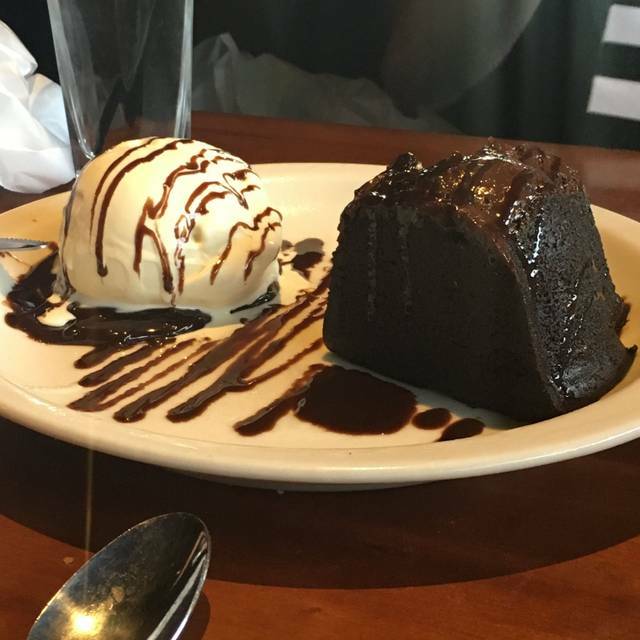 We head to J Alexander’s about once a month. The food along with the service is always high quality. I was hoping the Steak Brazzo was on the specials menu....it wasn’t, so I settled for the steak Maui. Wife had the salmon and everyone went home happy. Always have great food and service. We eat there often and always have a great time. We had a reservation and the wait was about 10 minutes, which was great! The food was excellent and the prices were reasonable! My family of four loved it, we’ll definitely be back! Felipe was a wonderful server! Celebrating our wedding anniversary and asked for a quiet table. They set us directly in the front. Not quiet at all. Even though it was our anniversary, they did nothing special. Will not make a special effort to go back here. I'll go to Seasons 52 or Cooper's Hawk instead. Best thing about the experience was our waitress, she was amazing. This where I would bring my clients for lunch. The menu has changed quite a bit but the food was still good. Downside, our waitress was not so friendly and felt like she didn’t want to serve us as she was unattentive and almost cold or rigid in serving us, we had to ask for refills on empty glasses often. I guess she assumed she would get short changed on her tip. It just didn’t feel like the same JAlexanders I was accustomed to! Friendly staff,meals were tasty and of good portion. Very noisy. Waitress was friendly, but lacked seriously in attentiveness. Very often we could not find her when we needed her. One server placed another tables order on our table,dropped the toast on the table,left crumbs, then picked up the platter to take the plate to the correct patron (I assume). We found this to be very unprofessional. Our side order of broccoli was cold and had to be reordered. Our main courses were good portions, flavorful and properly cooked. 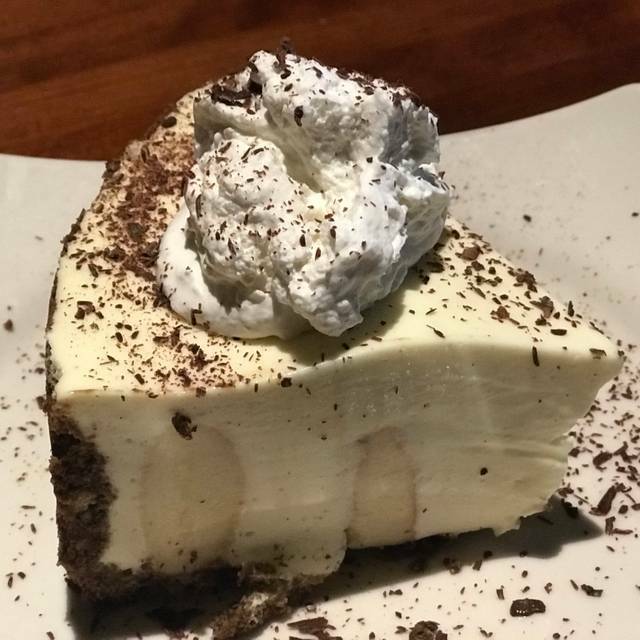 The dessert (Key Lime Pie) was delicious. The bottom line is that although our meals were good, for a restaurant of this price level and reputation, we were at times disappointed. We truly expected a more "stellar" dining experience. What made it even more troublesome was that this was a celebration of our 25th wedding anniversary. Love the artichoke (but sometimes need to ask for warm wet towels). Wines by the Glass need some help (and more options). When you go often, you realize the specials are not too special. Lately we need to always ask for Bread Service. The Flavor of my Filet Mignon, especially last time, was incredible. Key Lime Pie was amazing. I like the teamwork of the server staff when seated. How someone will start you off and then after first beverage your assigned server arrives, but I think it's relied upon it too much, and it seems to be the rule of thumb and not the exception. it feels a little less personal at times. Definitely the best restaurant out west. Congrats to all for keeping it great! Menu selection is very slim, and there are no pasta options at all. The fish of the day was Hake. It was fairly disgusting. The veggie burger was burnt, mushy, and fell apart. It was both unappetizing and embarrassing. The french fries were tasty but ice cold. Though we had a reservation, and arrived early, we still had to wait another 20 minutes, and lots of walk-ins waiting, too. This place is not good for a special occasion unless it’s a big party. The place holds 300+ people, so felt like a number, like a factory operation. It was our 35th anniversary, Def not good for intimate attentive dinner for 2. 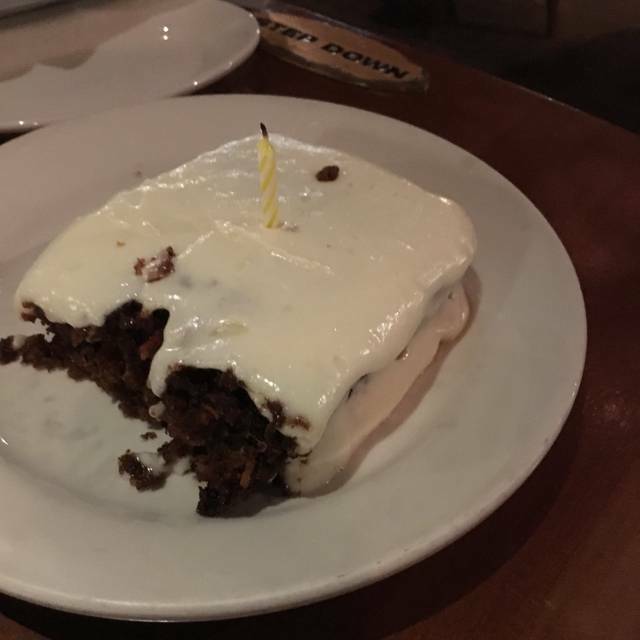 After asking, they did bring a dish of ice cream with a candle. Food and service were good enough, but can’t say we’ll ever return. I just love this location!! I prefer it 10x over the Ft. Lauderdale one. My FAVORITE spot!!!! The salmon is ALWAYS beautiful and delicious. I just love it.